37 years’ experience. Call today for a free telephone consultation with an Attorney. Our offices are located near the Jefferson, Orleans, Plaquemines, and St. Tammany Parish courthouses. A voluntary non-binding process to reach a mutually acceptable conclusion. Control the provisions for your family and distribution of your assets upon, and after, your passing. Our practice is to seek to save you money and resolve your case without going to court. We will fight for your rights in court when necessary. Otherwise, we are experienced and trained to handle your case without the delays created by the court system. We handle a variety of family law cases (simple and complex), including divorce, mediation, non-contested divorce, division of property, prenups, child custody/support, spousal support/alimony, custody of children born outside of marriage, paternity, grandparents' rights, adoptions and domestic abuse. Further, we provide estate planning. We will prepare your Will, Power of Attorney, Living Will, and probate successions. Our firm also has experienced attorneys who handle personal injury, collection, breach of contract, auto redhibition and other miscellaneous legal matters. Call us at 504-368-2700. If we are not able to personally handle your particular legal issue, we will refer you to a local and national network of attorneys through the Christian Legal Society. Roy M. Bowes & Associates are committed to providing the highest quality legal representation possible. 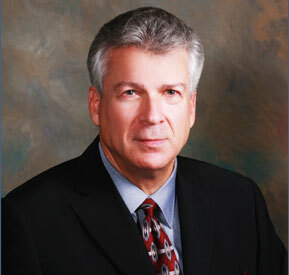 Roy M. Bowes has had a private civil trial practice with a concentration in family law for over 37 years. Call us at (504) 368-2700 for a consultation. Please note that any communication with Roy M. Bowes & Associates via email through this Website does not constitute or create an Attorney-Client relationship with Roy M. Bowes & Associates and/or anyone associated with Roy M. Bowes. Any information send to Roy M. Bowes or any associate of Roy M. Bowes through this website is on a non-confidential and non-privileged basis. Do not include any info in the email that you sent to us that you consider confidential or privileged.